Coolant staining around the coolant pump area may cause an incorrect diagnosis and unnecessary replacement of coolant pump. 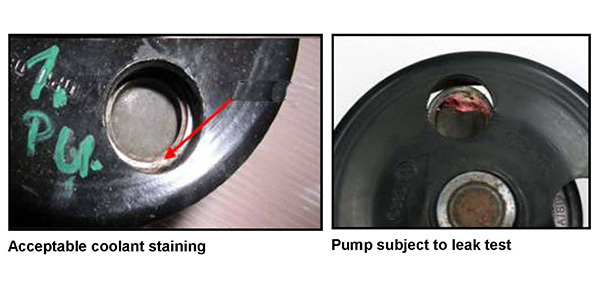 Upon inspection, a small coolant spot or coolant staining is acceptable around the coolant pump. 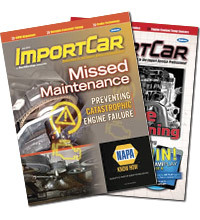 • The vehicle arrives with a visible coolant leak. • The vehicle arrives with coolant light ON. • The vehicle arrives with the temperature warning at its highest level. • Pressure drops in the coolant pump during a pressure test.